Are you an iPhone 7 power user? By that, I mean someone who stretches their smartphone to its very limits, enjoying the capability and power that your iPhone 7 or iPhone 7 Plus can bring to your daily life? If not, you had better read on! Here are five iPhone 7 tips that will also work on iPhone 7 Plus and older devices running iOS 10. 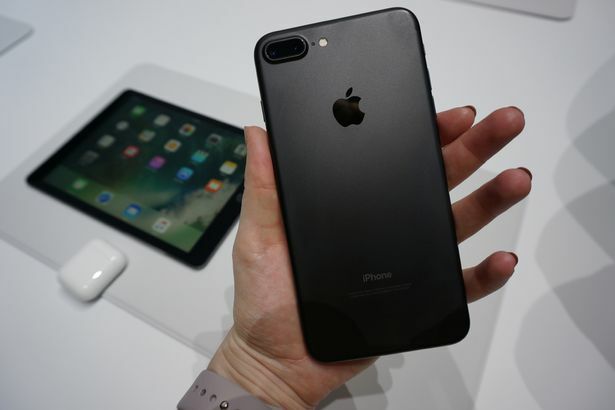 You might know some of them, but we’re pretty sure a lot of newer iPhone 7 users are completely unaware of Apple’s hidden treasure trove of tips and tricks that are a part of every Apple device. The easy way to do this is to set custom ring tones. But what if you’re in a theater watching a movie and the phone buzzes in your pocket or handbag? You’d want to know who it was without having to go to Dark Mode and stealthily pull your iPhone out of its hiding place, correct? For that, you can set custom vibrations to clue you in on who’s calling. Just set it for the few people you’re on the phone with regularly, and you’ll know from the sound of the buzz whether it’s your boss, your Mom or an unknown caller. You can tap out a unique vibration pattern, save it, and assign it to a specific contact or group. Depending on who you assigned it to, when that person calls or when someone from that group calls, you’ll immediately know without having to look at the phone. This is one of the best iPhone 7 tips for when you’re in a meeting, inside a movie theater or any place where you’d like to know who’s calling without pulling out your phone. Most of us don’t write full sentences or even complete words when we text. But even if we’re into keeping it short and sweet, our text messages don’t need to look like they just got hit by a bus. When you’re typing, watch for the auto-correct suggestions at the top bar of the keyboard. Selecting the right one will help your keyboard slowly figure out your typing shortcuts. “rlly” can become “really”, “bcoz” can be converted to “because” and so on. You’ll have to pay a little attention at first so you may not be able to text as fast as you would otherwise, but a little time spent here means your texts are cleaner and understood by everyone. You can also add specific shortcuts for names, etc. Like nj can expand to New Jersey, alx can expand to “Alexander” and so on. Simply go to Settings -> General -> Keyboard -> Text Replacement -> Tap the Plus Sign, then simply add your short cut and add the full version. Now, every time you tap those shortcut letters, it’ll convert it to the full text. This might not be something you’d be comfortable doing in public, but your head movements can be used to go back a page, control volume, answer a call and many other things. It’s extremely useful for those with limited motor movements or if you simply prefer a hands-off way to control your phone. One of the options you’ll see inside is “Camera”, the one you’re looking for. Tap on Camera, and your phone will now recognize head movements and you should see thin blue bars on either side of the display indicating that the feature is active. This feature can be used with Siri, Volume, App Switcher and Notification Center. If you’d rather have a visual cue for incoming notifications, you can use the LED flash feature. It’s a great option for when your phone is on silent, but not so great if you’re in a dark theatre. But it’s very useful if you’re a little hard of hearing or simply want to mute your notifications for a while. What this will do is allow your phone to take a video at 30 frames per second on the very highest resolution possible. If you’re a power user, you definitely need to get these features turned on and start using them. Otherwise, you won’t be using your iPhone 7 or iPhone 7 Plus to the best of its ability. There’s lots more where these iPhone 7 tips, tricks and tweaks came from, so stay tuned as we cover them a few at a time.